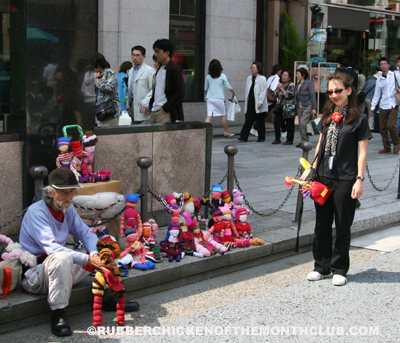 Meeting Maximizer, Jolene Jang, and her rubber chicken associate take on the challenge of creating enthusiasm and focus at the street puppet convention. You have it all wrong. We were just about do duke it out with our puppets. I am acting cool, giving him time to “putz around” before I lay down the mad chicken crazy dance.